Album Post #21. 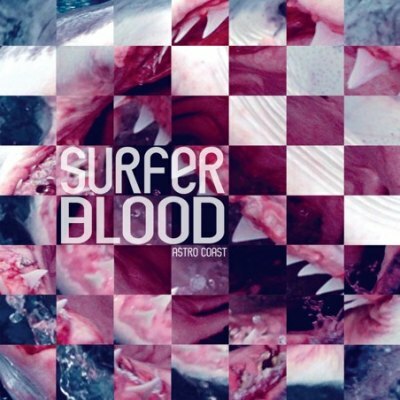 Surfer Blood‘s debut album Astro Coast, to be released on January 19th but available for streaming now at Spinner. Astro Coast is summery Weezerish surfer rock that seems better suited for release 6 months from now. However, I’m glad I won’t be listening to it with my windows rolled down for some time because I would miss the subtleties that make this album great. The element that stands out to me is that each instrument sounds as it occupies its own space within the music and doesn’t interfere with sound from the other instruments. Recently I’ve steered clear of rock because I’ve become a snob to muddyness. But Surfer Blood even seems to be able to use fuzzed out power chords without sacrificing clarity. Also, I absolutely love the towering reverb used on the vocals (see Swim). I could only find one song on youtube (Harmonix, below). Please be sure to listen to the songs Swim and Take It Easy. The single Swim is available as a free download here. Listen to the whole album here at Spinner. You are currently browsing the archives for the surfer rock category.